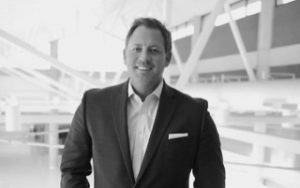 Moo TV announced the appointment of Jason Rittenberry, CVE, as Executive Vice President and General Manager. In this position, Rittenberry will oversee the day-to-day operations and lead the Nashville-based team that supports artists such as Garth Brooks, Brad Paisley, Dierks Bentley, and other top tours. He will direct the senior leadership team and be responsible for developing and overseeing implementation of all current business initiatives while assisting with the future growth of the company. Moo TV is an award-winning video and live events production company offering live video-production for concerts, touring, special events, and corporate events. Moo is the eight-time Pollstar Video Company of the Year, 2018 Nashville Business Journal Business of the Year, and reigning Parnelli Award winner for Video Production Company of the Year. As one of the industry’s forward-thinking executives, Rittenberry is a proven successful senior level entertainment leader with extensive experience in the sports, entertainment, and music industries. Most recently he served as Managing Partner of MSG Strategy, a full-service event production and strategic consulting firm. Previously, the President and CEO of Kentucky Venues, overseeing the operations of all state owner entertainment venues. He also had a 15-year career in venue management, during which he led Circuit of The Americas and Austin360 Amphitheater in Austin, Texas, and was President and Chief Executive Officer of IRG Sports + Entertainment, the privately held parent company of multiple sports and entertainment properties.